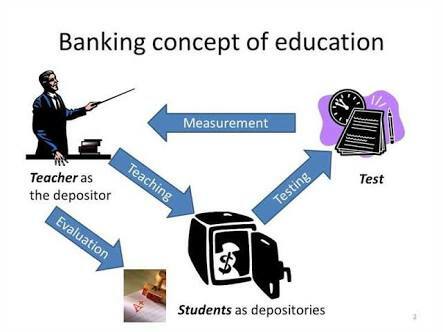 Free download concept of banking awareness English version. 1. Banks are the financial institutions which accept deposits from the people and give loans to the needy people for the purpose of consumption or investment. 2. According to section 5(b) of the Banking Regulation Act, 1949, “banking” means the accepting, for the purpose of lending or investment, of deposits of money from the public, repayable on demand or otherwise, and withdraw able by cheque, draft, and order or otherwise. Banking Company means any company which transacts the business of banking in India. No company can carry on the business of banking in India unless it uses as part of its name at least one of the words bank, banker or banking. 1. Commercial Banks: The banks which accept deposits and lend money to the people for consumption or for investment purpose. These banks perform all kinds of banking business. Since their deposits are for a short period, these banks normally advance short-term loans to the businessmen and traders and avoid medium-term and long-term lending. Majority of the commercial banks are in the public sector. However, there are certain private sector banks operating as joint stock companies. Hence, the commercial banks are also called joint stock banks. 2. Industrial Banks: Industrial banks or investment banks, meet the medium-term and long-term financial needs of the industries. a) They accept long-term deposits. b) They provide long-term loans to the industrialists for the purchase land, construct factory building, purchase heavy machinery, etc. c) They help in selling and underwrite of the debentures and shares of industrial firms. d) They also provide information regarding the general economic position of the economy. e) In India, industrial banks, like Industrial Development Bank of India, Industrial Finance Corporation of India, State Finance Corporations, are playing significant role in the industrial development of the country. 3. Agricultural Banks: Agricultural provide loans for agriculture activities. a) Short-term credit to buy seeds, fertilizers and other inputs. b) Long-term credit to purchase land, to make permanent improvements on land, to purchase agricultural machinery and equipment, etc. In India, agricultural finance is provided by co-operative institutions. Agricultural co-operatives provide short-term loans and Land Development Banks provide the long-term credit to the agriculturists. 4. Exchange Banks: These banks finance foreign trade of a country. Their main function is to discount, accept and collect foreign bills of exchange. They buy and sell foreign currency and thus help businessmen in their transactions. They also carry on the ordinary banking business. In India, there are some commercial banks which are branches of foreign banks. 5. Saving Banks: They accept small sums as deposits from people. They encourage savings of the poor and middle class people. In India we do not have such special institutions, but post offices perform such functions. After nationalization most of the nationalised banks accept the saving deposits. i) It acts as the controller of credit. Besides these functions, Reserve Bank of India, also performs many developmental functions to promote economic development in the country. 1. Central Bank – Reserve Bank of India (RBI). Every Country has one central bank only.